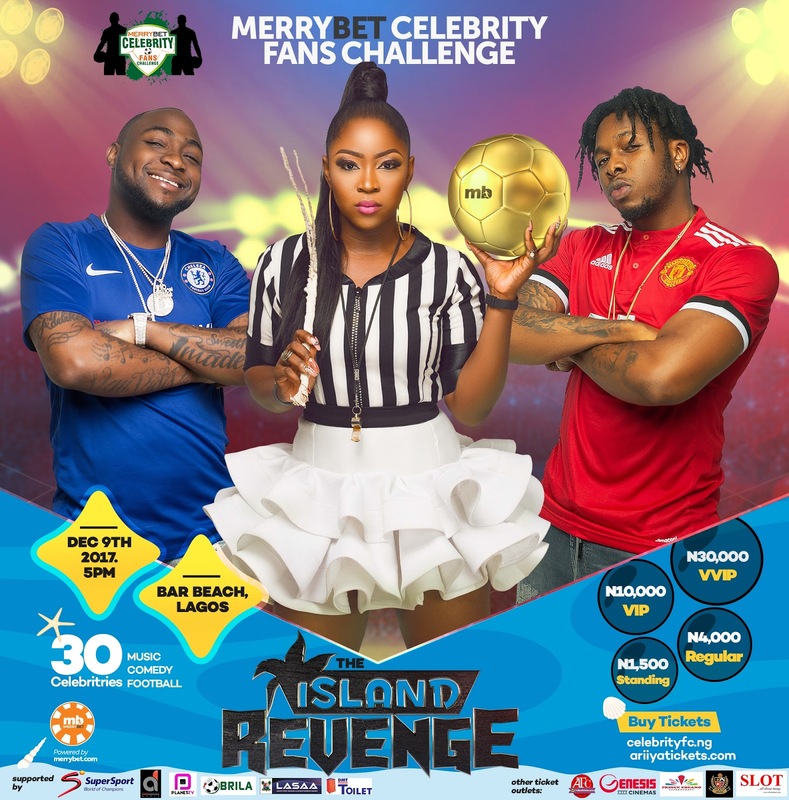 The allure of Merrybet Celebrity Fans Challenge is set to go up a notch as Two of Africa's biggest music stars Davido and Runtown lead the cast of stars for the latest & 5th edition tagged "The Island revenge". The much anticipated event is expected to unite football fans and their favourite celebrities in an atmosphere of fun and glamour with an extra dose of top class entertainment from these two music heavyweights and more. Date: Saturday, December 9, 2017. Venue: Bar Beach, Victoria Island, Lagos, Nigeria. The 5th Edition of Merrybet Celebrity Fans Challenge #TheIslandRevenge promises to be fun, integrating several scintillating activities – Comedy, Music, Dance, Party , Football Games and much more. Come and party with your favourite Celebrities at Africa’s Biggest Football Party and be part of history!